VisualARQ 1.1 is now available to download. This is a free service release for VisualARQ 1.0 users and the evaluation version has been also updated. 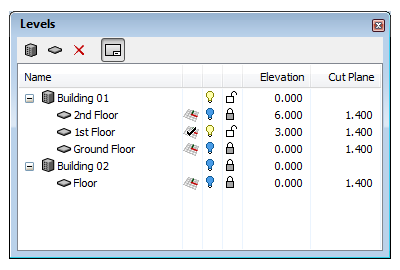 New dockable level manager dialog (it replaces the old floor manager). Levels can be grouped into buildings. Level visibililty/lock status per view (only works in plan views). Fast access to set CPlane at level elevation. Editable elevation and cut plane values. Added wall, door, and window alignment offset.